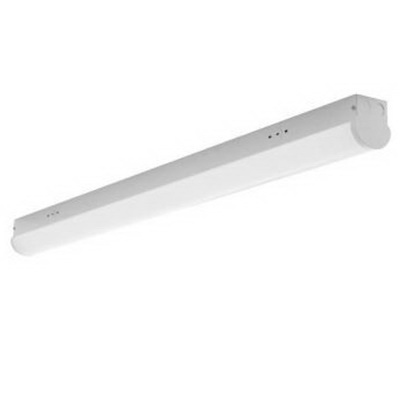 Floursup LED Strip fixture has 24-gauge cold rolled steel construction with white matte powder coated finish for longer life. The fixture supports 40-Watt 85+ CRI 4000K 5037-Lumen lamp for energy efficiency, superior color rendering and long life. The sensors can be integrated for more energy savings and it is ideal for warehouse, distribution centers, parking garages, covered parking, utility rooms, stairwells, corridors and canopies. LED strip fixture is cULus & DLC Premium listed.